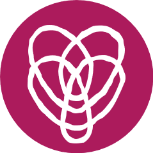 New Beginnings Doula Training Course is designed to provide you with an environment in which you can combine your compassion and caring with high quality, evidence based knowledge that will help you succeed as a member of your client’s birth team. New Beginnings Trainers will provide support as you work through three units and approximately 200 hours of coursework containing education in labor assessment and research skills, childbirth education, and skills needed to do the hands-on work of a doula. It also includes units on communication and advocacy skills that will help you navigate the birth world as a valued and contributing birth professional. None. College-level reading skills needed. Accommodations will be made on an individual basis for those that require different methods of learning. rachel@trainingdoulas.com, student Facebook page (tag: Rachel Leavitt), phone appointments by request. Rachel Leavitt is an registered nurse (RN) and certified doula (CD) who has worked with women and babies since 2006 in postpartum, labor and delivery, NICU, and currently works in a birth center as a nurse and doula support. She has developed a love for nurturing both mothers and doulas, and now certifies doulas through New Beginnings Childbirth Services, LLC. She utilizes her membership as a professional member of Evidence Based Birth® and Birth Monopoly’s Doula Power to promote a positive community among her students and birth professionals. For more info, you can find her website here. Specific assignments that are required for your training will be taken from the following three (3) books. You will need to purchase these books separately as they are not included in the cost of registration. More details on books can be found here. Once registered and logged into class, you will have access to your coursework online (those choosing the payment options will receive materials as they progress). The content is taught in written form, along with some videos and audio to supplement the process. Contact your trainer if you do not understand something or need accommodations for different learning styles. I assess your course progress in an unconventional way that confuses some students. Rather than grading, I encourage reflective learning. This entails giving feedback meant to help you think and engage rather than a grade. In plain terms, In order to finish an assignment, you must get an “A”. An “A” means you have done everything asked for in the assignment. If the assignment is not completed, I will guide you through the process of reflective learning in order to finish it. Your assignment can be redone as many times as you need in order to complete it. You will know the assignment is finished if it is marked as “completed”. You will also need to complete a skill sheet with all the skills you will learn, in addition to the related assignments for doula skills. The skills must be practiced on a friend, client, or family member who will then sign them off as complete. If you are unable to do some of the skills, you need to request a deferral in writing. A birth packet, which includes a birth care plan and an evaluation by someone else attending the birth, is the final requirement. A birth packet is required for three (3) different clients. For each of your clients, you will need to attend a pre-natal interview, a meeting with their care provider, and a postpartum interview. Course extensions allow you to extend the amount of time that you have to complete your training. Extension are available on a month-to-month basis and include direct mentoring from a trainer to ensure continued progress towards certification. Re-certification is required every two years. This helps to ensure that doulas with a current New Beginning certification status are up-to-date with their skills. By re-certifying, you also will receive any new updates to the course materials and any new supplemental courses that are offered as a part of the main training program for which you are certified. Complete 20 continuing education units(CEU) provided from a list, or other pre-approved websites. (Contact me regarding questions about what counts). Submit paperwork (in digital format, if possible) demonstrating completion of educational units. You must take an Introduction to Essential Oils course and agree to abide by the safety standards it presents. This counts as 5 CEU credits. As a New Beginnings Doula, you should only use the oils discussed in the course. Complete one birth packet for one birth you attended in the two years previous. Paperwork will be made available if needed. Pay the $50 USD Renewal Fee via PayPal or by check in the mail. Upon completion of all four (4) steps, a new certificate will be issued and mailed with the expiration date set at two years from the previous expiration date (not the date of renewal).